My life has been so devoid of anything inspirational or enjoyable due to the most intense schedule Ive ever had. The only thing that can usually ever pick me up and out of any funk is music. 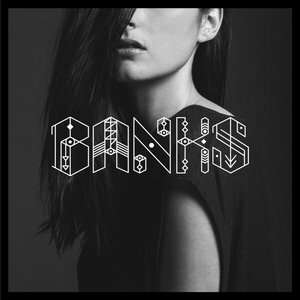 About a year ago while listening to Hype Machine (probably the coolest music app ever, Ive discovered SO many great artists) I stumbled upon ‘Waiting Game’ by Jillian Banks (of Her Name is Banks) and fell hard for all of her tracks. My favorite being ‘Change‘ (see video linked below). Jillian Banks is insanely talented, her music is so soulful and moving. Please discover this gem and enjoy! “It’s probably not just by chance that I’m alone. Truly good skincare in my opinion consists of pure, natural ingredients which I for one know that I can trust to not irritate my skin. 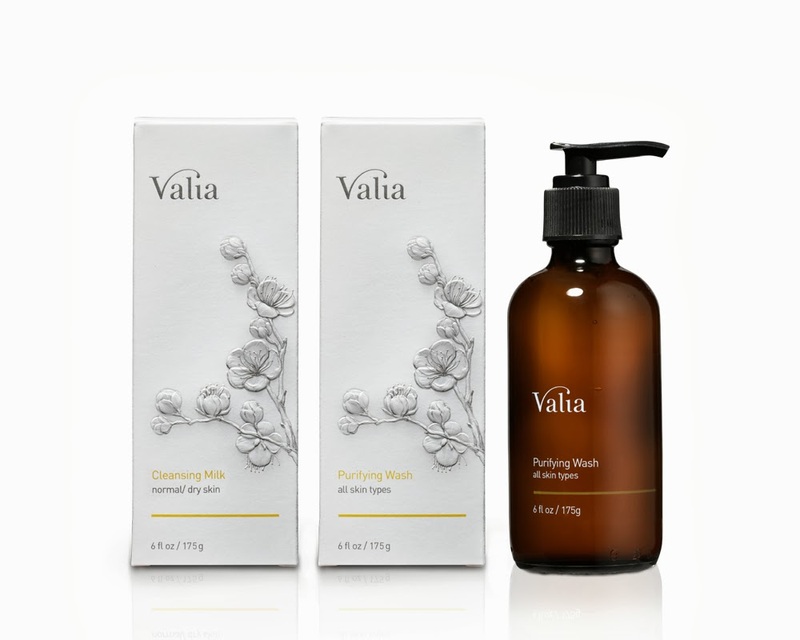 Valia, a natural based skin care line bringing us a range of products made with Japanese Herbs by its own Herbalist, Marc Ching, has come across my radar with a bang, and due to the luxurious textures of their cleanser and moisturizer as well as the high quality natural ingredients, I am now hooked. The Cleansing Milk feels amazing and for a milder cleanser does a fantastic job of keeping my face feeling clean. Its light and has a pleasant scent. I appreciate having a gentle cleanser for those days when my skin won’t tolerate the harsher exfoliation that I get with using my Clarisonic. The Yuzu Hydrating Creme has given me a really gorgeous glow with each application as well as provides a temporarily tightening effect. 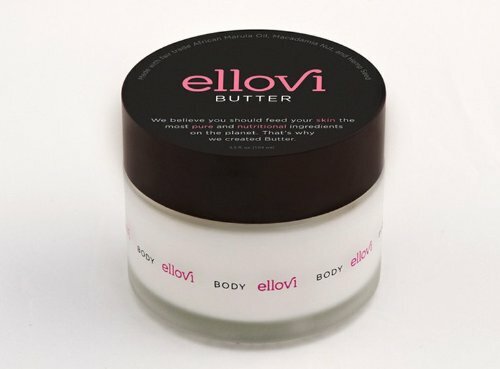 Overall as a hydrating moisturizer I think this works very well. However, full disclosure, as I do require some serious hydration due to the winter elements and my perpetual drier skin, so I have been following up with another dose of moisture in the form of serum or balm after allowing the Yuzu to sink in. 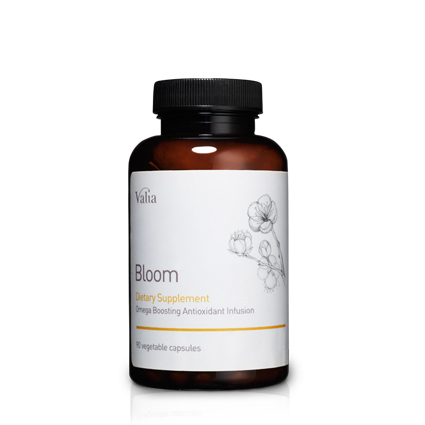 My absolute favorite product from Valia is the Bloom Dietary Supplement. An Omega 7 rich supplement designed to help with bloat and reduce belly fat. Since I typically experience mild discomfort from most vitamins/supplements (headache, upset stomach etc) I really appreciate the zero side effects Im experiencing taking this product. I have only been taking this supplement for 2 weeks so I think it might be a bit early to see real rapid results, but given the ingredients and the ease I have had incorporating this in with the other nutritional supplements I take, I can pretty much guarantee there will be a repeat bottle being ordered soon. Stumbled across this super chic lingerie while browsing today. I really love the look of these photos and just had to share. How stunning is that model? And that apartment?? Amazing! How exciting (and flattering!) to be interviewed by one of my favorite beauty sites! Beautylish is my go to site for makeup tips and whenever I am searching for inspiration on new looks or products try out. Check it out! I have finally discovered the one treatment product that does it all. I came upon this magic bottle while searching for some type of overnight treatment or mask I could apply before going to bed that would help my strands while I slept…. enter Phyto’s Secret de Nuit. 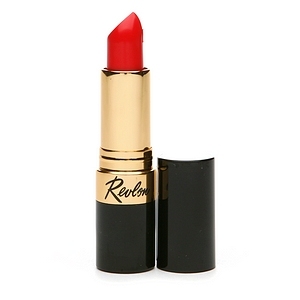 I purchased this from Beauty Habit (it retails for $38, pricey but worth it) and the results have been amazing. Secret de Nuit goes to work as you sleep to regenerate the hair fiber deep down. Upon waking, hair is delicately scented, regenerated and protected. It is shiny, supple and manageable. Well I can’t speak to any sort of delicate scent (Im sure there is a scent involved here it is just really mild, or more mild than the other products I use), I can say without any exaggeration that for the past few mornings I have woken up with incredibly beautiful hair. I have been applying this to my wet hair before bed and have been brushing it through to ensure that I get my hair well coated with the stuff. Now, every curly haired girl knows a brush and wet hair is a no-no. You’re essentially killing the curl by breaking it up. Well! That just didn’t happen. My curls were even better in the morning!! The curls I haven’t been able to recreate since high school ( I swore my curls died after I hit 25, but they have regenerated with the use of this product!) And then to top it all off, my hair has been sooo much softer too! I use just a touch of Caudalie Divine Oil in the morning to freshen up my bed head and head to work. My hair has lasted all day with little to no product. I have also applied it dry (before bed and during the day) and the results have been great. Holy grail hair care. 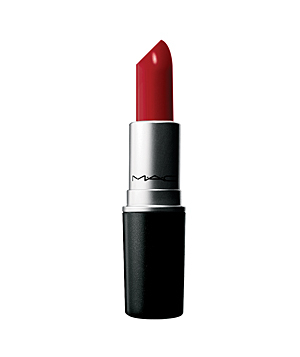 I remember the first time I ever wore lipstick. I was 7 years old and my mother had just taken me for what was to be the first traumatic experience of my childhood; a haircut that took away my much loved long hair, full of big thick curls and left me with a short pixie cut. I use to love my long hair so much that I remember spending way too much time before school brushing and flipping it over my head over and over until it looked full and fluffier (what can I say, I wanted to be a Charlie’s Angel and thought I had the hair to pull it off). Reflecting back on the change in my look, I can appreciate now just how gamine and adorable I probably (hopefully) looked. At the time though, I just remember feeling like I had lost my femininity. I felt like a boy. In fact I felt like a boy so much that I kept saying it over and over in the car on the ride home. Until mom couldn’t take it any longer. 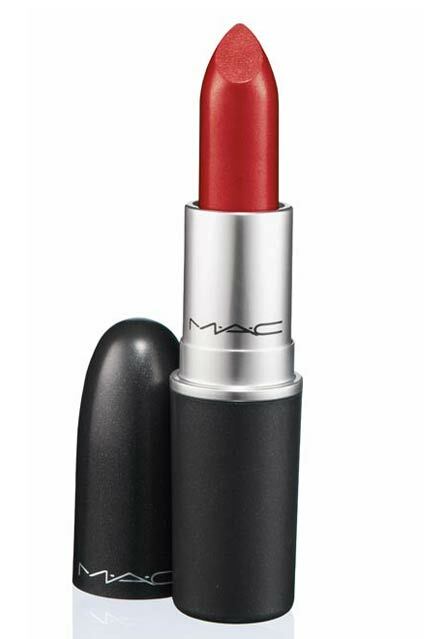 She reached into her purse and handed me a tube of red lipstick. She told me to wear that and tell me if I still felt like a boy. It worked (well at least for the car ride home where I promptly produced fresh tears as proof to my father just how upset I really was). I remember sitting in front of the flipped down mirror applying lipstick on my small tiny lips until I had a few layers of red, enough to look like a 7 year old tarte. Throughout most of my life though I stayed far away from any color on my lips (except for a brief stint in high school where I religiously wore Cover Girl’s Toasted Almond). It hasn’t been until recently that I began to feel confident enough to wear a color on my lips other than my natural with a touch of gloss. 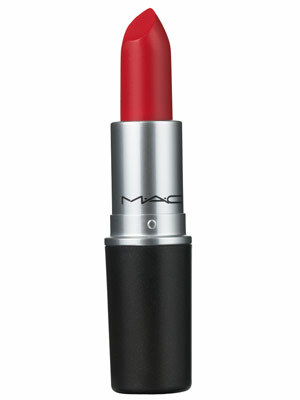 I don’t know if its wearing lipstick itself, or the act of putting it on that makes me feel like a grown up lady. But it does. 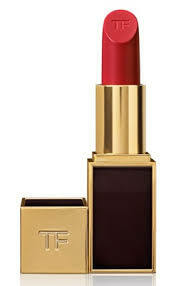 Is there anything else a woman can acceptably do in public besides applying lipstick that announces to the world ‘ I am a woman and I want to be noticed’? I can’t think of it. 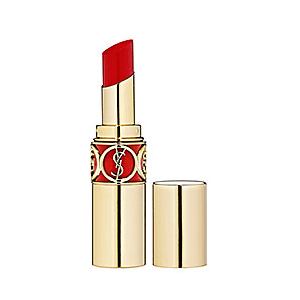 #83 Keep Wearing Lipstick from ‘100 Ways to Age with Grace, Elegance & Joie De Vivre‘ via Live the Charmed Life.